You won't be in the least bit surprised that we start with Sebastian Vettel and the by now familiar team orders business (perhaps for convenience someone should just label it 'Sebgate'?). One thing that struck me about Vettel's behaviour immediately after the Sepang race was that he, initially at least, seemed genuinely surprised by the negative reaction he got. An apology did follow from him fairly quickly once the reaction registered, but certainly his victory celebrations on the slowing down lap and then in parc ferme showed no outward sign of contrition, embarrassment or conflict. Did Sunday reflect the conflict of the two Sebastian Vettels? So, why was this? Perhaps Seb thought he'd be seen as the good guy? It's not as ridiculous as it might sound, after all there are plenty of similar cases from F1's past wherein the guy who defied the order/arrangement and kept racing is seen as the one in the right; history is by no means consistent on this matter (as discussed on this blog). Indeed, Seb no doubt remembers the boot on the other foot case at Silverstone eighteen months ago, wherein Mark Webber sought to pass Vettel against orders as both were told to cruise to the line. Webber didn't pass then, but it wasn't for the want of trying and the reaction subsequently was overwhelmingly sympathetic to the Australian (it shows the power of context possibly, that defying an order when you've won everything there is to win is viewed by observers as very different to doing so when you win but rarely). But part of the answer may be on the broader level, in that Seb - rather like Ayrton Senna - appears a very different animal out of the car compared with in it, at least judging by what we see in front of the media anyway. Out of the car Seb is engaging, well-mannered, and also more than most F1 drivers seems rather minded of being liked and having a positive legacy. But in the car, seen plenty of times before last Sunday's race as well as in it, he becomes demanding, self-centred, rather petulant and short-fused as well as displays a strong and unattractive sense of entitlement. And apparently how he's viewed more widely didn't enter his considerations when he decided to attack Mark Webber for the win in Sepang. Of course, all of us are different in different situations, but in Seb's case the disconnect seems chasm-like. Perhaps his surprise and apparent contrition after the Sepang race reflected genuine conflict between the two Sebs? Perhaps one of the two Sebs is the real one, and the other a construct which he feels is necessary to act out in order to help him prevail? Perhaps even Seb for whatever reason feels he can have it both ways: be the amoral guy in the car and the media darling out of it? If so, then the reaction to what he did in the Malaysian race will have gone a long way to dissuading him of the possibility of straddling those two rather disparate personas successfully, particularly doing so in the extreme glare of F1's sharp end. 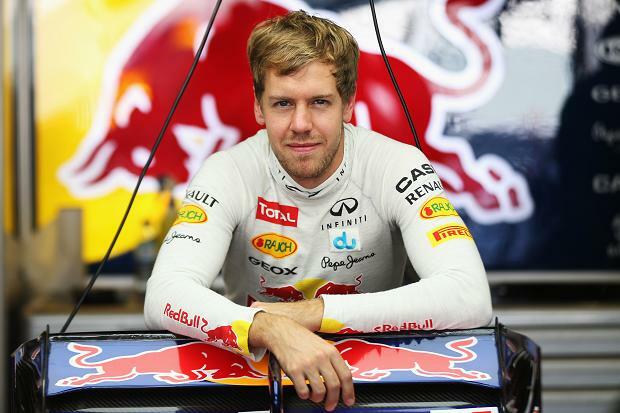 Ferrari is one of the few though that must be very grateful to Sebastian Vettel. This is because the shenanigans Seb created in his wake took most of the attention away from a faux pas of its own, one that cost a retirement for Fernando Alonso and could have cost him and others much more. Just to remind you, Alonso tapped the back of Sebastian Vettel's Red Bull at turn 2 of lap 1 (surprised by Seb coming to an almost complete stop on the apex), which partially dislodged his front wing. But Alonso was able to retain a decent speed and pressed on, with Ferrari hoping to coincide the stop to change the wing with the stop to change for slicks that would likely follow in a few laps' time. But this never happened, as under braking for the first turn of lap 2 the wing dislodged properly, got under the front wheels and sent Alonso straight into the gravel, where he stayed. On the face of it Ferrari's plan made no sense, particularly for a team which (with Alonso) is prone especially to extol hedging ones bets, consistency of finishing and of playing the long game. And worse it was extremely dangerous both to Alonso and to those he shared a track with; front wings dislodging at 200mph are no small fry. But perhaps in the cold light of day we can begin to piece together what the Scuderia's thinking might have been. Ferrari started the race with high hopes, indeed Alonso was favourite for the win in many estimations as he lined up on the grid in third place with his stable mate Felipe Massa around to help and Vettel's tyres not expected to last as long as theirs. And had Alonso taken his medicine and pitted at the end of lap 1 it would have likely condemned him to finish no higher than eighth (it's unlikely he'd have finished ahead of the Lotuses), and safety cars that might have brought him back into play are as a rare as hen's teeth in Sepang, with the chance of one being 15%. Thus if you think of it in terms of gambling a maximum four points for a possible 25 then perhaps Ferrari's choice becomes more understandable. But, even with this, the safety aspect of it all really should have forced Ferrari's hand. It goes to show the power of the last race. 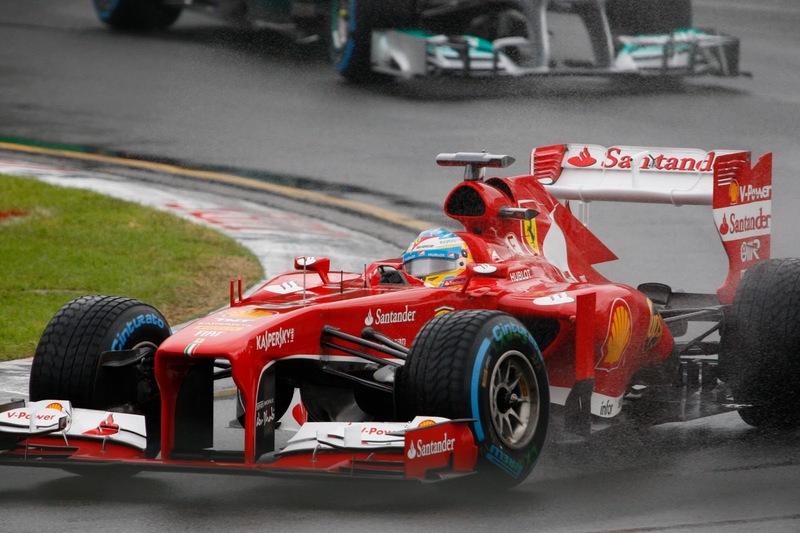 After Kimi Raikkonen's dominant win in Melbourne there was much head-scratching on how on earth he could be stopped. Not only did the E21 look fast but also indecently able to preserve its tyres compared with its rival machines. And possibly future rounds would suit it even more than Melbourne did. and Lotus's problems for this year? But following Sepang things look a little different, with the two Lotus cars finishing but sixth and seventh there (with Romain Grosjean ahead), some 35 and 48 seconds respectively after Vettel. And the mediocre outcome reflected factors that might become a headache this season for Lotus more generally, and which even the triumphant Melbourne weekend had hinted at if you knew where to look. One of these is that, just as in 2012, lowly grid slots could give the Lotus pilots too much to do on race day. As it was in Melbourne things opened up somewhat for Kimi, a good start followed by him clearing Lewis Hamilton on lap two allowed him to run unimpeded in the company of the leading group virtually from the get go. But even in this age of DRS and gumball Pirelli tyres qualifying remains important (only four of last year's 20 races were won from off the front row) and we saw why in Sepang, with both Lotuses spending much of the day stuck behind slower cars, and never being able to haul themselves entirely out of the midfield mire (despite showing good pace in clear air). Kimi's three-place grid penalty didn't help of course, but you feel it shouldn't have been a show-stopper in itself. 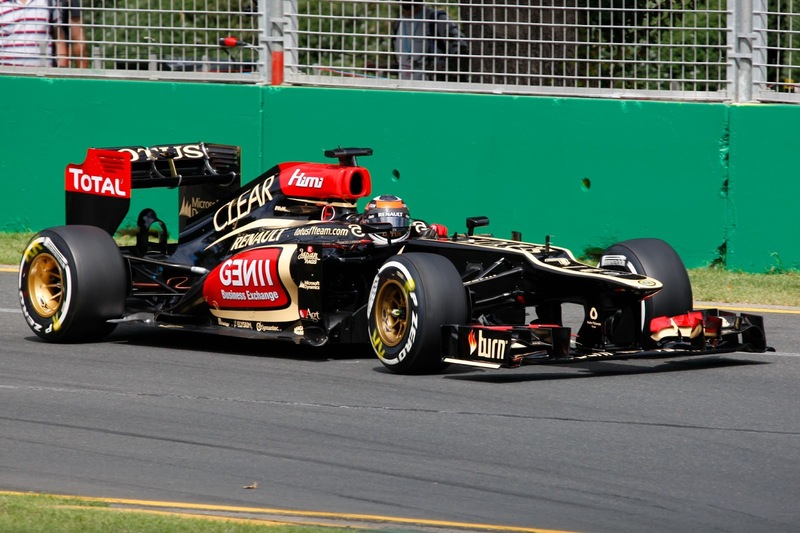 Also, whisper it, another headache for Lotus this year may be the varying driving outputs of Kimi Raikkonen. Going back to his McLaren days a common criticism of Kimi from his teams was his tendency to splice outstanding drives with anonymous ones. Some at McLaren even reckoned they could tell by the Friday lunchtime of a race meeting which they were going to get. 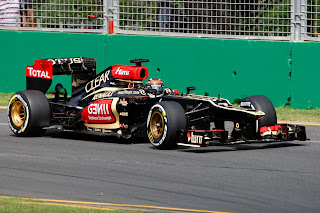 And for all of Kimi's much-lauded consistency in bringing the car home in 2012 there were anonymous drives in there too. For every Bahrain, Hungary or Abu Dhabi there was a Monaco, a Canada, a Silverstone. And this year already he's followed up a great drive with a rather underwhelming one. This of course is not to rule out championship challenges for Kimi or for Lotus in 2013, indeed they have as good a chance as just about anyone as things stand. But Sepang's race demonstrated that such an undertaking likely won't be nearly as straightforward as Melbourne's had led some to believe. 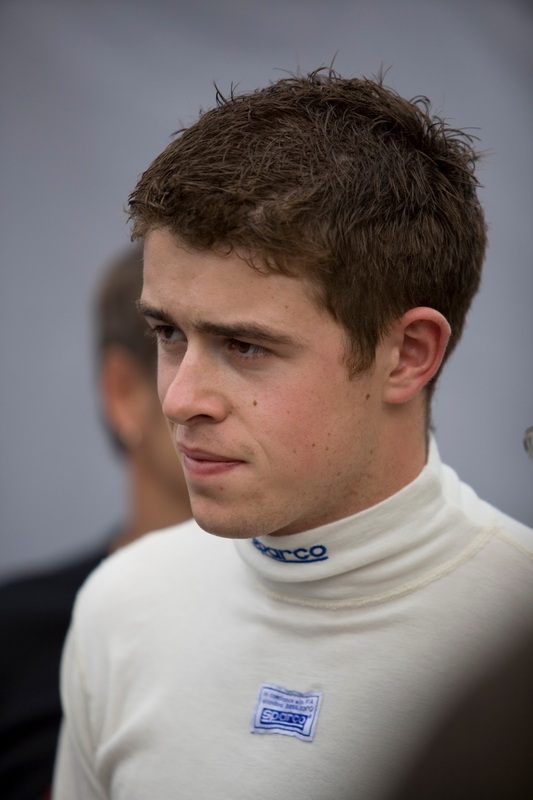 No one doubts that 2013 is a crunch season for Paul di Resta. He ended 2012 in the Interlagos wall having had the manners put on him by team mate Nico Hulkenberg that day and indeed on a few race days preceding that. Plus, many have noticed that in both of his seasons in F1 he's been outscored by his stable mate. A third year of the same wouldn't look good. And, to add to this year's potency, di Resta makes little secret of his desire to move into a front-running team. And 2013 didn't start well for him, with new (but not so new) team mate Adrian Sutil being one of the stars of the Melbourne show, and despite getting onto his tail late on di Resta was left to finish behind and post race to bemoan being 'robbed' by team orders. And things continued to be bad for him in Malaysian qualifying, when the Force India pit wall gave di Resta a hospital pass, confining him to miss out on the best of the conditions and therefore miss out on the top 10 shoot out. During all of this I spotted rather a lot of mean comments on the subject of di Resta, not only about his persona (not helped by him in Malaysia criticising his team for the second time in a week, which is never a good idea) but also his driving, mainly expressing the belief that he's overrated. This not only seems harsh to me but also premature, and once again demonstrates that the memory of the sports follower can be absurdly short. And I was glad that di Resta bounced back on Sepang's race day, when he moved smoothly past Sutil and looked well on for a strong result prior to retiring when Force India's now infamous dud wheel nuts didn't allow a tyre change. Let's not forget also how much di Resta impressed us during his freshman F1 campaign, and indeed while Hulkenberg blew his doors off late last year from Japan onwards prior to that there was almost nothing to choose between them, and the Hulk is of course viewed as the next big thing. It all suggests that Paul di Resta has something going for him. Writing him off now as a busted flush seems way too soon. I guess if anyone in F1 had an embarrassing news story to sneak out then Sunday after the Sepang race was a good time to do it, given the whole Vettel/team order drama hoovered up just about all of the attention. One such story that likely would have got more coverage but for it was the latest round of grumbling on the Pirelli tyres, which emanated mainly, but not exclusively, from the Red Bull camp. It was familiar stuff, mainly that the limited-lifespan tyres don't allow drivers to 'push' in the car like they once did as well as inject too much of a variable element. I give such utterances short shrift however. For one thing, they're an annual event, and if this year is anything like the previous two then the complaints will recede as the year progresses and as the teams get a grasp on the tyres' behaviour. And to make the obvious point, the tyres are the same for everyone, and if Red Bull cannot get the durability out of the tyres that, say, Lotus can then Lotus must be doing a better job. Plus, to coin the adage, all in F1 should be careful what they wish for, for it might well come true. Pirelli lest we forget is only doing what it's told by producing tyres with a limited lifespan on the grounds that it adds a variable and thus makes the races more exciting and unpredictable, and the company is under no obligation to keep supplying its product to F1 for ever. And if it feels the negative publicity resultant from the barbs is too much then it will walk away, possibly leaving F1 high and dry, maybe even having to pay someone to produce tyres. This would be hardly what the sport needs when most of the teams are in 'survival mode'. But more to the point we should be careful what we wish for in terms of what we get to watch on the track. Helpfully, Sky's F1 channel has been showing 'classic' F1 races in full this year (and as an aside kudos to Sky generally, it's been a lot more creative this season in what it's filling its F1 channel airtime with), so far many of them have been from the 2000s, and I have found watching them a timely reminder of how soporific F1 races where in that age when it was done as nature intended and without efforts made to spice up the action. In addition to tyre wear not being an issue, fuel stops turned the races into a series of sprints, there was no DRS etc etc. Essentially, after the first lap shake out 'races' - and I use the word advisedly - were barring freak occurrences merely a matter of how pre-ordained fuel strategies played out. Indeed, had anyone known all of the fuel strategies and had a calculator to hand they probably could have told you the finishing order with reasonable confidence after just one tour was completed. 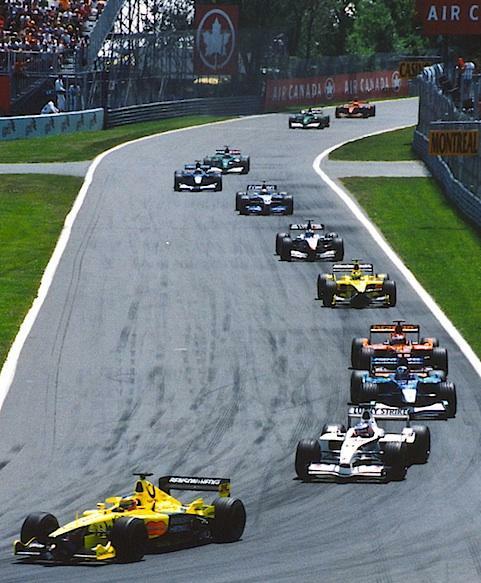 There was almost no overtaking, nor even much probability of it. Then-FIA President Max Mosley once during this time advised us to think of F1 races as akin to a game of chess, and it's easy to see why. It certainly wasn't racing in any sense of the term. And bear in mind those races shown on Sky were 'classic' races, pulled out deliberately for being relatively diverting. What we have now may trouble the consciences of the purists, but I'll take it over what we had before without hesitation. I feel like its someone give Jean Eric Vergne a shout. I have to say that I was originally a Riccairdo fan as far as the Torro Rosso boys went, but I found it compelling how JEV could so easily out pace his teammate during races. Yes, his quali needs some work, but Ive got to say that as 2012 went on, I gained a lot of respect for Vergne. And now, after two races of the 2013 season, I have a feeling that he will be getting promoted if he keeps his pace up. But Specifically his most recent drive at Malaysia was absolutely spectacular. For starters, he managed to make his way up to 11th before his first pit stop, and seemed as though he had the pace to make it well into the points, only to suffer a collision with Pic due to bad team orders, and then finding himself all the way down in 21st. So by then it seemed as if his race was "over" when he suddenly started putting lap times in nearly 1 to even 2 seconds faster than the other mid field drivers. Now my first though was that he was going to wear his tires out, but somehow he kept with it, and eventually passed his teammate Daniel, ON THE TRACK. I thought that was an extraordinary feat, because Ricciardo's pit strategy should have kept Vergne well behind him after pit stops, but instead Vergne was right on his tail and passed him fair and square. Ive got to say, cheering for Vergne is becoming very fun, and I cant wait to see what he can do in the future. It's good point, Jean-Eric Vergne drove extremely well in Malaysia as you say, and it was especially impressive after losing a ton of time changing his nose. He seems to have a knack of doing that sort of drive, ghosting into good finishing positions from low down, almost Button-like. He also always seems to do well on wet-to-dry days like Malaysia was. Indeed, he finished 8th in Malaysia and in Brazil last year.